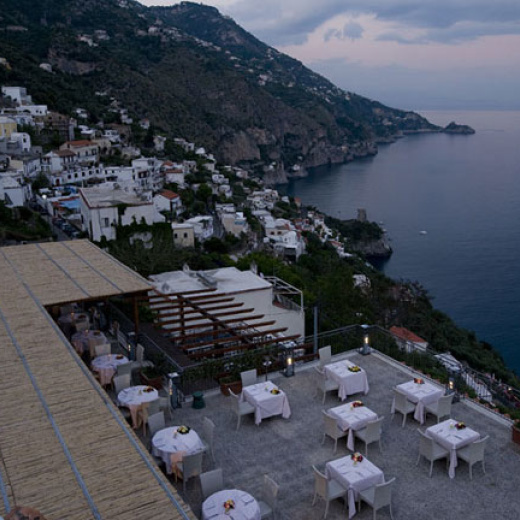 Colorful majolica ceramics, traditional furniture, Mediterranean atmospheres, view of the lemon groves or of the sea and all necessary comforts in one of the best 3 star hotels of Praiano: the 28 rooms of Hotel Margherita are what you have always desired from a hotel on the Amalfi Coast. Welcoming, all with their own terrace, the rooms have telephones, adsl modem sockets, flat-screen satellite TVs with SKY channels, radios, minibars and air conditioning. The bathrooms with shower stalls, hairdryers and courtesy kits complete each room. Available in single, double, double with two queen sized beds, triple and quadruple (family), ideal for families with children, the rooms of Hotel Margherita come in classic, superior or deluxe in order to meet the guest's need for space and comfort and may comfortably accommodate from one to four people.